ስለምታይ ኣብዚ እዋንዚ ዘይተኣደነ መዓት ሀሪካን ሃርቨይ (“ማይ ኣይሂ”) ኣብ ልዕሊ ገርሀኛ ህዝቢ ቴክሳስ ወሪዱ ንመዋእል ዘጥረዩዎ ንብረት ከኣ እዕኒዩ? መስኪን ህዝቢ ዓለም ግና እተን ወኻሩ ማዕከናት ዜና ዓለም፣ ስለዘይሕብርኦ፣እቶም ማሕበር ሰይጣን ይላገጽሉ ኣለው።እንታይ ክረኽቡዮምከ ነዚ መስኪን ህዝቢ ንመዋእሉ ርሂጹ ዘጥረዮ ንብረት ብሓጺር ግዜ ምዓት ኣውሪዶም ዘብትኹዎ ዘለው? እዞም ማሕበር ሰይጣን ግና፣ ብዘመናዊ ሳይንስ ዝተማህዘ ቴክኖሎጂ (A Geoengineered Weather Event Using Chemtrails And HAARP.) ገሮም፣ንገርሀኛን ፈሪሃ እግዚኣቢሔር ዘለዎ ህዝብታት ዓለም፣ብኣምላኽ ዝወረደ መዓት እዩ እንዳበሉ፣ ከምዚ ኣብ ቴክሳስ ሃስተን ዝፍጽምዎ ዘለው ውዲታዊ እከይ ግብሪ ይገብሩ ኣለው። እቲ ዘስደምም ውዲታቶም ድማ፣ንገርሀኛ ህዝቢ ዓለም ብኣምላኽ ከምዝወረዶ ገሮም እዮም እምሮኡ ሰሊቦም፣ ዘዓንጅሉዎ ዘለው። ከም ብኣምላኽ ዝወረደ ኣምሲሎም እምብኣር፣ ምንቅጥቃጥ ምድርን፣ ማዕበልን፣ እሳተጎመራን የውርዱ ኣለው። እዞም ደቂ ዲያብሎስ እዚኦም፣ኣብዚ እውንዚ፣ ኣብ ዝኾነት ትኹን ሃገር፣ ከም ቃሕ ዝበሎም ምንቅጥቓጥ ምድርን ማዕበልን ህቦቡላን፣ እሳተጎሞራን ከውርዱላ ይኽእሉ እዮም። ክሳብ ኣምላኽ እታ ክትወቅዕ እምበር ክትውርወር ከላ ዘይትርአ ኲናቱ ገሩ ዝምንቁሶም፣ ንህዝቢ ዓለም ገና ብራዕድን ብመቕዘፍትን፣ ከሳቕዩዎ እዮም!! 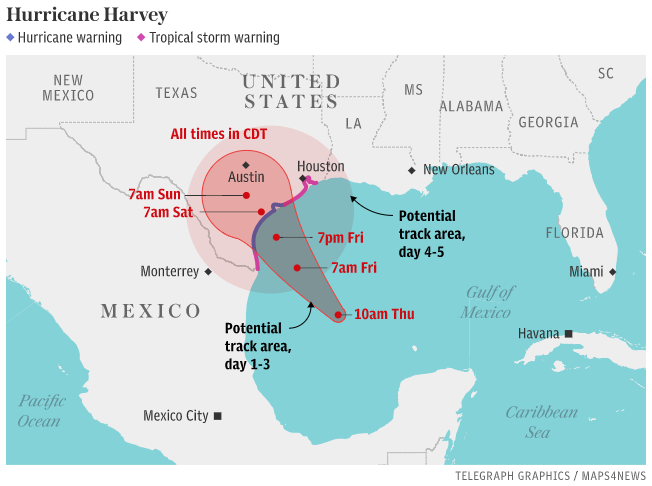 Because this meteorological fact is now self-evident, the most important question that can be asked (and answered) is “Why has the great state of Texas been targeted yet again?” The analysis that follows explains the real purpose(s) behind Hurricane Harvey. JADE HELM 15 Begins — A Coincidence? 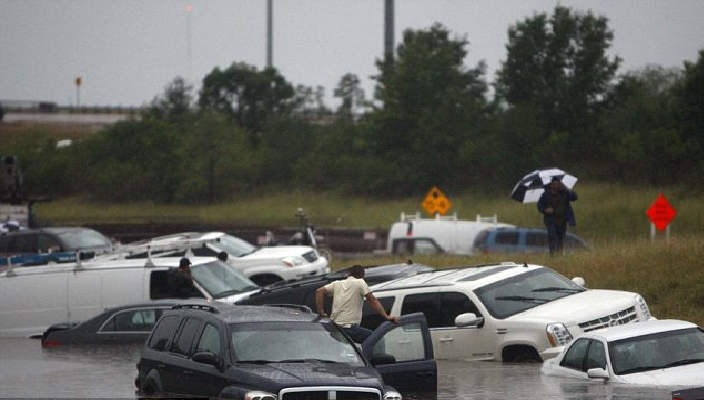 The timing of the extraordinary May 2015 rain events in Texas, occurring just prior to the July 15th commencement of the unparalleled military exercise JADE HELM 15, cannot be coincidental. As the 1000-year flood slowly makes its way across the state, one question emerges — was it a manmade or natural weather event? If the satellite imagery* has anything to say about this freakish statewide deluge, it is that something is very wrong with this picture, as well as with the following images. The black ‘column’, which protrudes through northern Texas, Oklahoma, Kansas and Nebraska on the image above is not natural in any way, shape or form. It’s very squared off, much too angular, and straight-lined. Also, this rain event pattern is unusually vertical in its development and has been exhibiting unnatural shapes and abnormal dynamics along the way. What is perhaps the most distinguishing feature of this apparently geoengineered weather event is that it maintained its structural integrity over several days. The longevity of any cohesive meteorological phenomenon is relatively short. In this particular case, highly unusual weather dynamics and geometries persisted over days when they would normally have morphed into new shapes and sizes, or dissolved altogether. 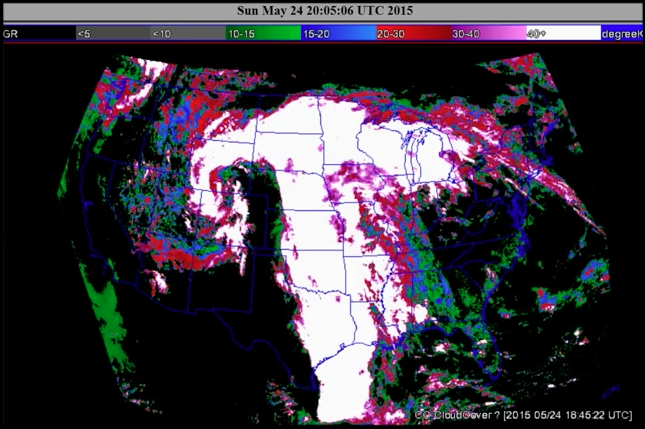 Simply put, these kinds of weather patterns and dynamics do not exist in nature. The following screenshot reveals the extraordinary south to north movement of the entire weather system. 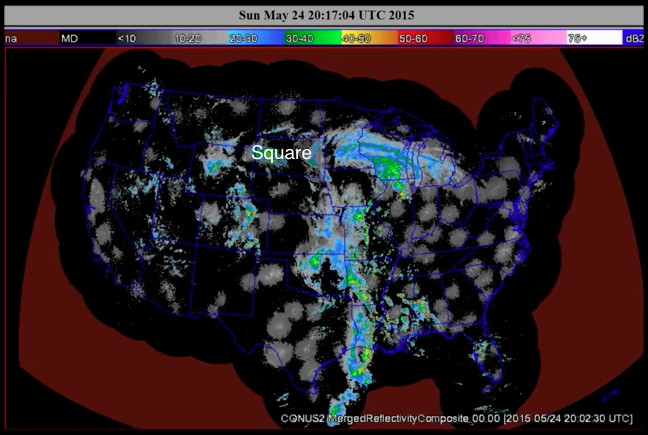 In other words if you click on the reference video below, the line of rainstorms is seen moving from the extreme south in the Gulf of Mexico all the way to the northern Midwest in Minnesota. The typical east to west migration of the whole storm front was not observed for a relatively prolonged period of time. The storm system just sat there training over the same areas in the blue-green areas shown below. It actually functioned like a ‘well-constructed’ conveyor belt moving massive amounts of water from the Gulf, south of Texas, right through the nation’s midsection as precipitation. Both ex-Governor Rick Perry, and now current Governor Greg Abbott of Texas, have been a HUGE thorn in President Obama’s side ever since he took up residence in the White House. You name the issue — Gun control, Obamacare, Illegal immigrants, Gay Marriage, JADE HELM. The list goes on and on, but there are enough in the aggregate for the geoengineers in the West Wing Situation Room to rain on a Texas parade whenever possible. The Obama Administration has already demonstrated no reluctance whatsoever in commencing purely political prosecutions as they have against potential presidential candidate Rick Perry. Using their Austin-based proxy prosecutor to file a patently false indictment against Perry shows just how far Obama & Company will go to force the state into complete submission. Likewise, the complete lack of immigration law enforcement along the south Texas border has caused the number of illegal aliens to literally explode, further straining Texas’ finances and budgets across the state. Texas by its very nature has always staked out its fierce independence from the U.S. Federal Government. The Lone Star State began as a republic in 1836 as its flag illustrates. It also operates frequently as a lone ranger policing the federal government as it attempts to compel Washington to do its job. Not only has the White House not performed its constitutionally-mandated responsibilities, it has repeatedly broken federal statues and prevented states like Texas from enforcing them, especially the longstanding and necessary immigration laws. However, it is Jade Helm 15 and the deliberate utilization of Texas as a staging area which has shifted this ongoing feud into a new and volatile phase. Gov. Greg Abbott went so far as to write a letter to the Texas State Guard requesting that they closely monitor the JADE HELM military exercise. Such a gubernatorial initiative is practically unheard of in the 50 states and underscores the level of profound distrust that currently exists between Washington and Austin. 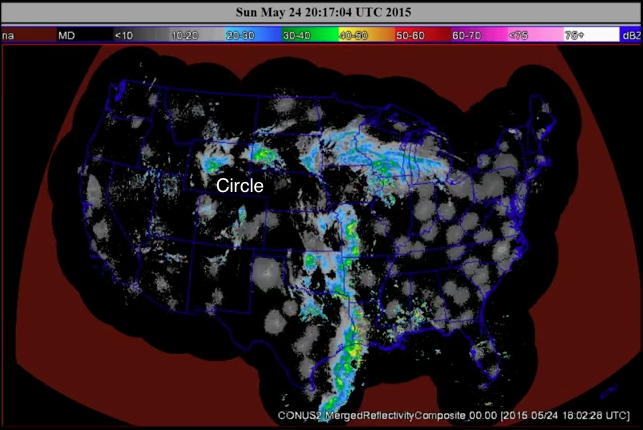 Weather Warfare Has Been Conducted For Decades, Globalists Are Loyal To No One It’s important to understand that anyone, anywhere, anytime can become the victim of the incessant weather warfare that is being waged across the earthly realm 24/7. There is no city or state, nation or continent that is protected from such meteorological weaponry. Nor is there any jurisdiction that is free from the dictates of the globalists who have been painstakingly establishing the New World Order (NWO) over centuries. The United Nations is but one organ of the coming One World Government and it will not be thwarted in implementing its agenda across the planet. Independent states like Texas and California have been used as examples of what can and will go awry when compliance with that agenda is not forthcoming. The current World Shadow Government (WSG) has many means at its disposal by which to enforce its covert agenda, particularly those vital components of illegal immigration and gay marriage, systematic geoengineering and mandatory vaccination. The WSG’s primary means of enforcement is weather manipulation since the weather can now be easily engineered to fabricate a drought or deluge, a derecho or downpour. Welcome to the 1200-year California drought of 2015, as well as the Texas flood of the millennium. Not only did this apocalyptic rain event begin over the greater Austin area — the state capital — the state’s other major metro areas have likewise suffered the greatest consequences of this geoengineered onslaught. San Marcos, just south of the capital, took the initial hit followed by the Austin, Dallas and Houston. 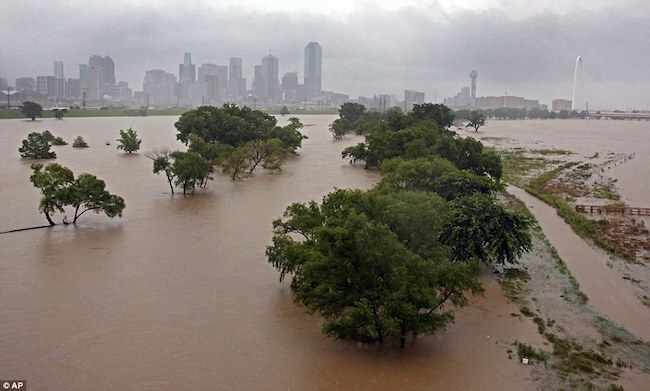 Rain is still falling as of this writing, rivers will continue to overflow and communities all across the region are inundated as never before in recorded Texas history. Why does the Mainstream Media always fail to tell the inconvenient truths and report the frightening facts?